A decline in stem cells also means a slow response to the skin’s natural repair system. So acne scars, age spots sun damage, sagging collagen and elastin no longer takes place as quickly or efficiently as it once did. Research shows plant stem cells can help. It’s not a matter of simple swap, we’re not replacing our stem cells with those from plant. What plant stem cells can do when we apply them to the skin, however, is to protect our own stem cells so they live longer, and stimulate them to get active again. 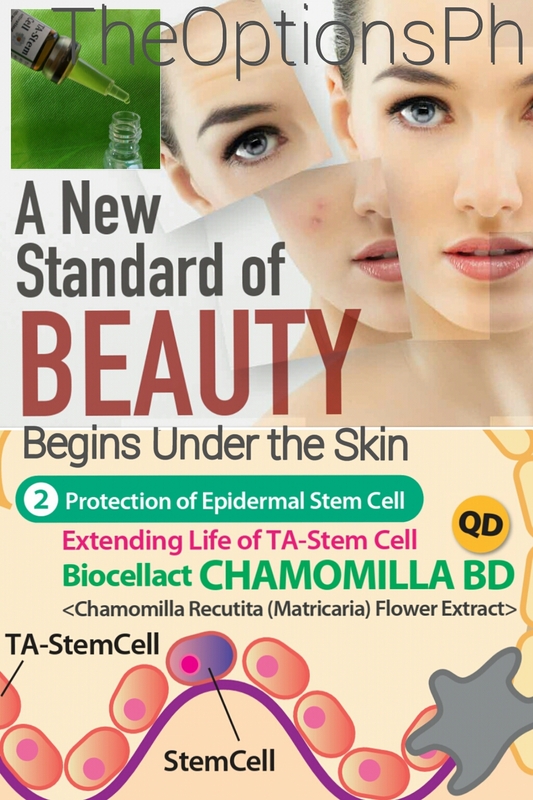 Biocellact Chamomilla BD is a natural anti-aging ingredient from Japan extracted form Chamomile flowers. 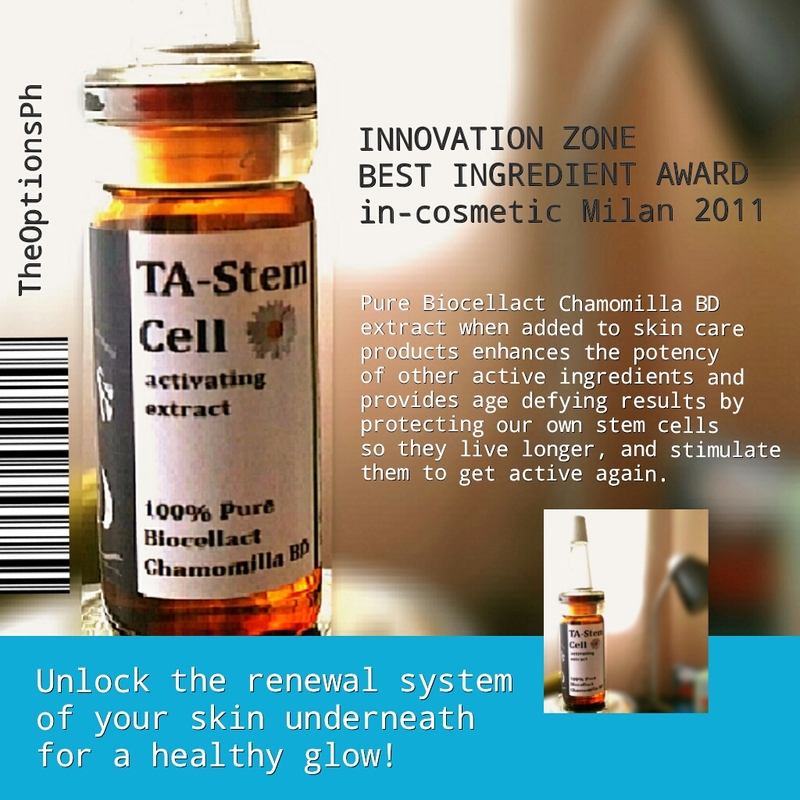 This product got the INNOVATION ZONE BEST INGREDIENT AWARD in IN-COSMETIC MILAN 2011 due to its unique efficacy study. Added to your skin care creams or toners at 2% – 4% TA-Stem Cell Activating Extract will activate your own skin care system to the next anti-aging level. add 12-20drops to 30ml/30g cream or toner to make 2% active Stem Cell Cream or add 24-40drops to 30ml/30g cream or toner to make 4% active Stem Cell Cream or Toner. Note: this 10ml TA-Stem Cell Activating Extract contains 200 drops! 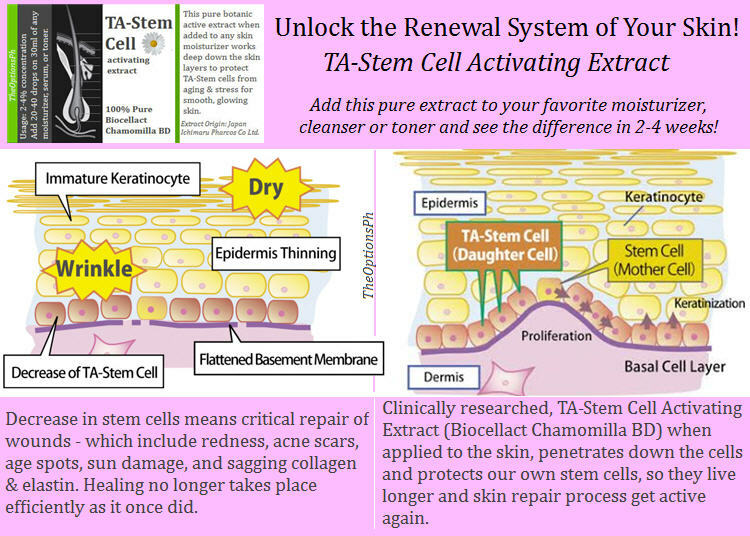 Try TA Stem Cell Activating Extract and unlock the renewal system of your skin.